Look who is actually alive! 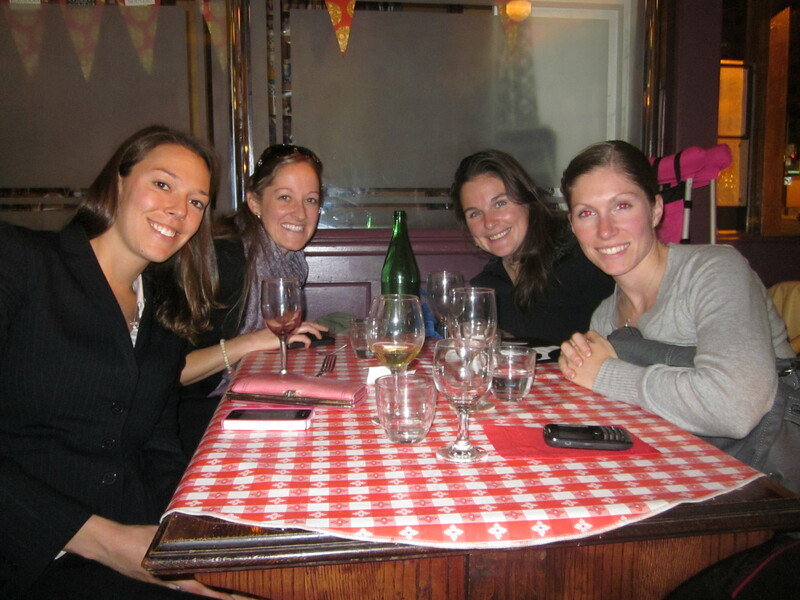 Last night, Chloe, Lauren, Emily and I met up at Bistro Du Coin in Dupont Circle. 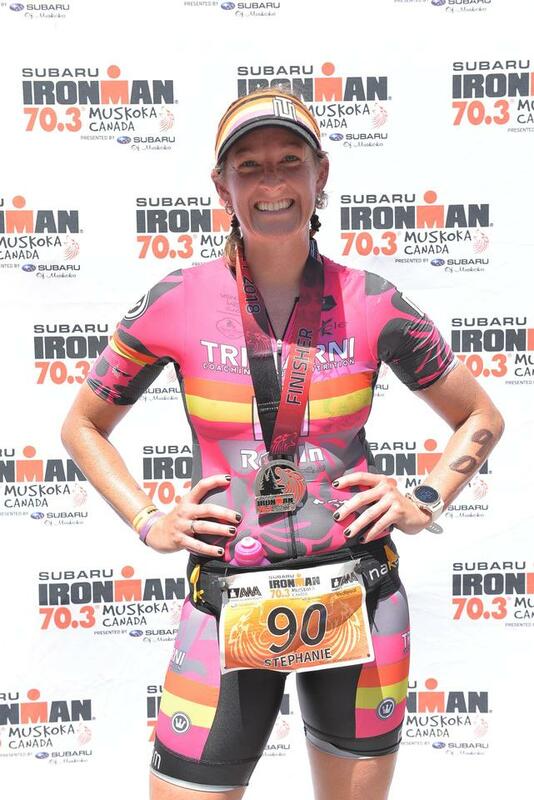 Lauren is back on the east coast for a little bit before her Ironman, so we got together to catch up. I was really excited when she suggested Bistro Du Coin. Since living in DC, I’ve always heard great things about it, but for some reason I never went! Upon entering, I immediately was reminded of my 2009 trip to France. 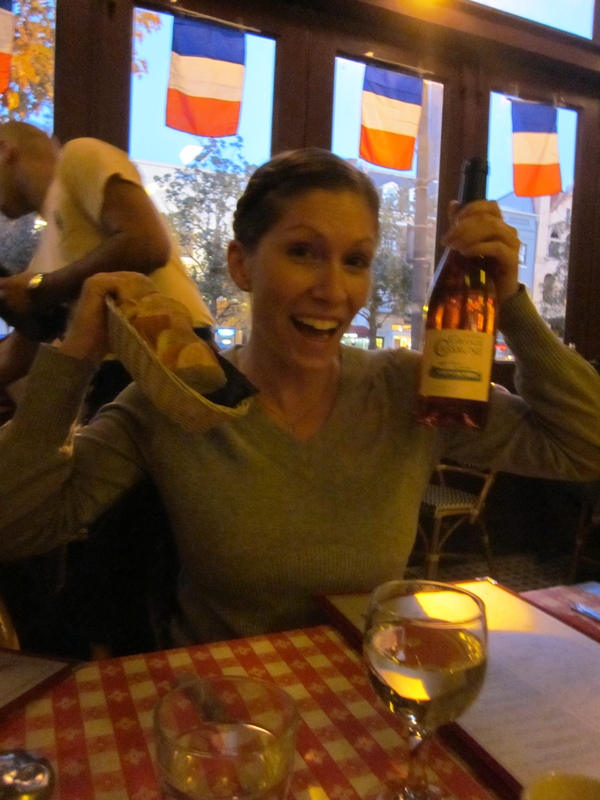 I felt like I was in a French Bistro (except without all the smoke and people speaking French), and I was ready for some cheese and wine. 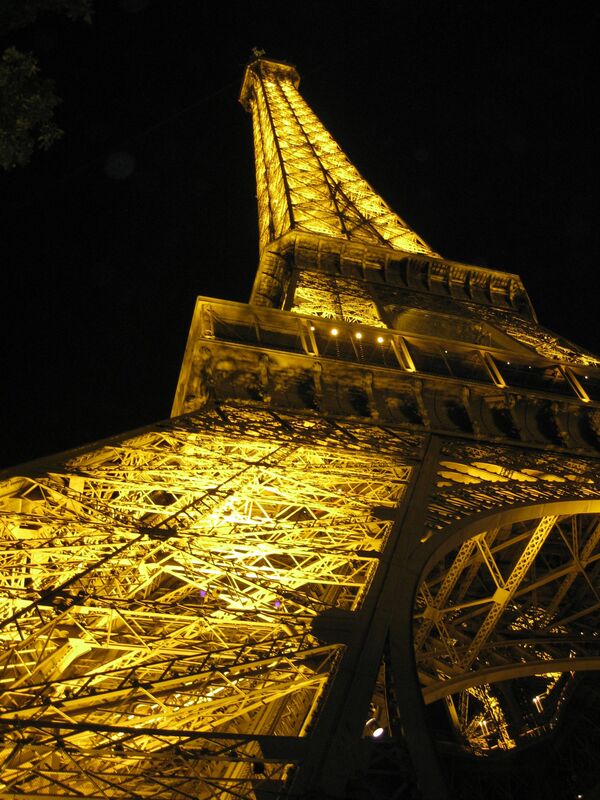 Can I go back to Paris please? Le sigh. Maybe some day. Bistro Du Coin’s menu was a little overwhelming (4 pages, but 2 were for drinks), but they offer a bunch of options that you can order as half or full portions. The half orders are perfect for sharing, especially when you’re with bloggers who love to eat good food. 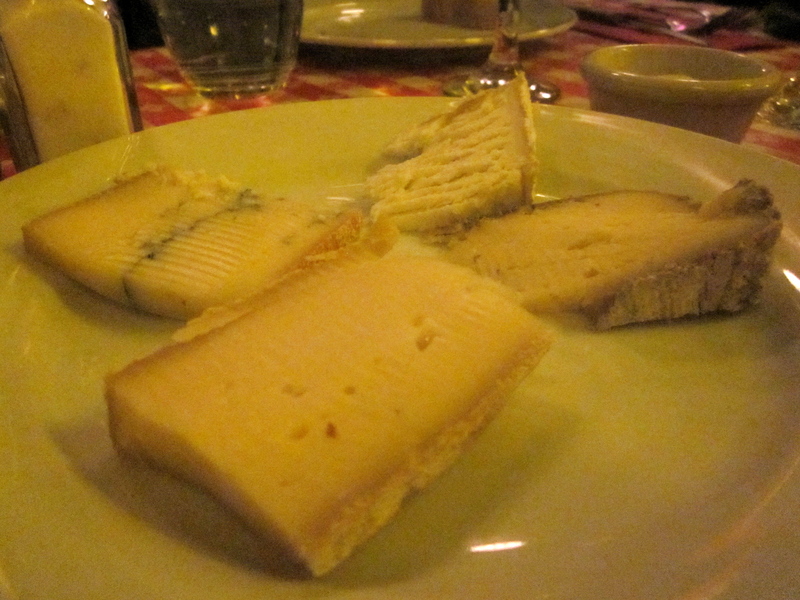 We decided to go with the French cheese plate (duh). Lauren requested that we had at least one vegetable, so we obliged and ordered a salad to split. 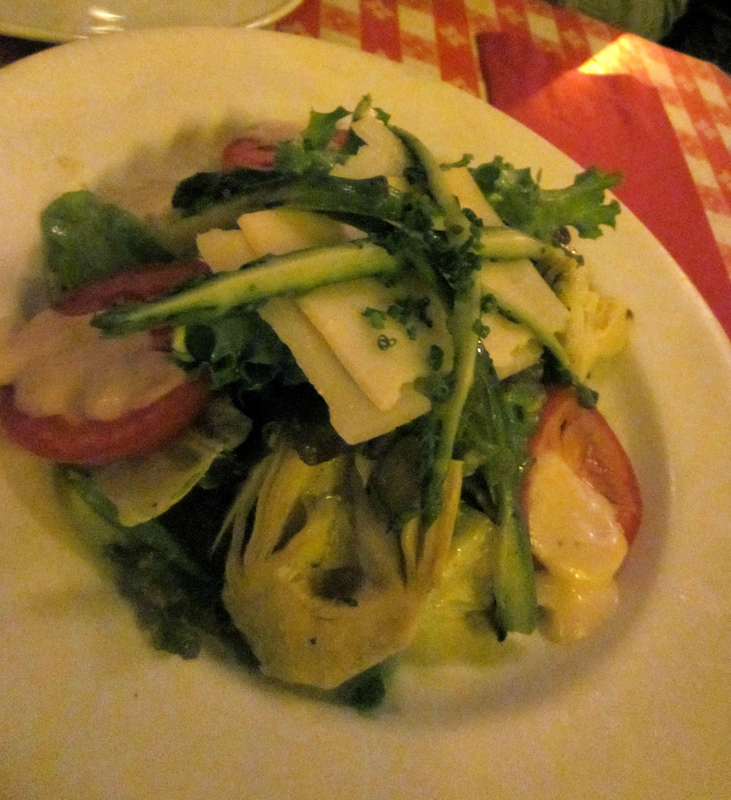 The Salade d’artichaut et asperges fit the bill: Baby artichoke, grilled asparagus salad and parmesan cheese. 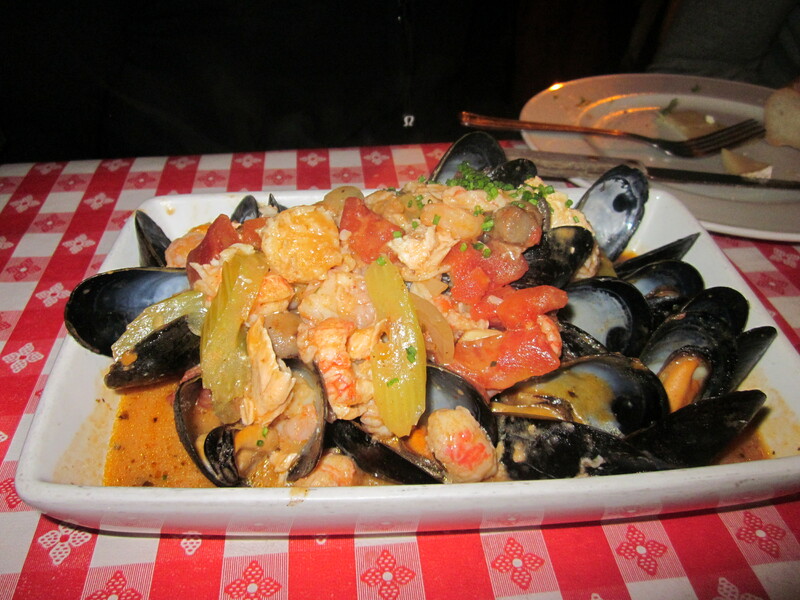 Moules Bretonnes: Steamed mussels with lobster bisque, lobster meat, shrimps, mushrooms, celery, diced tomatoes. It’s been so fun to get to know these ladies in real life. 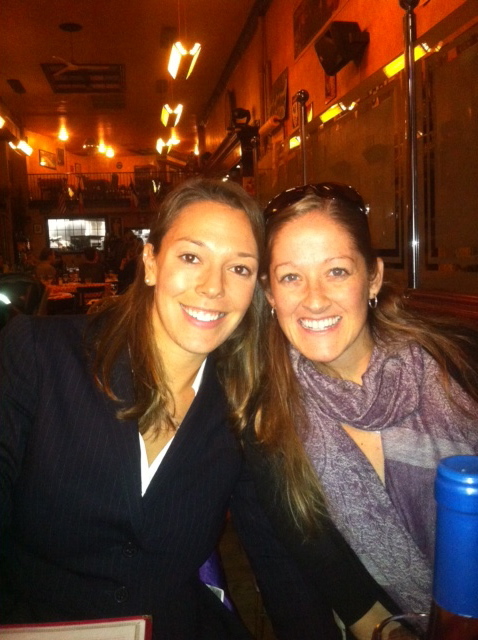 We had a fantastic evening chatting about life, boys, work, blogging, and whatever else came up. It was a great way to spend a Thursday evening! 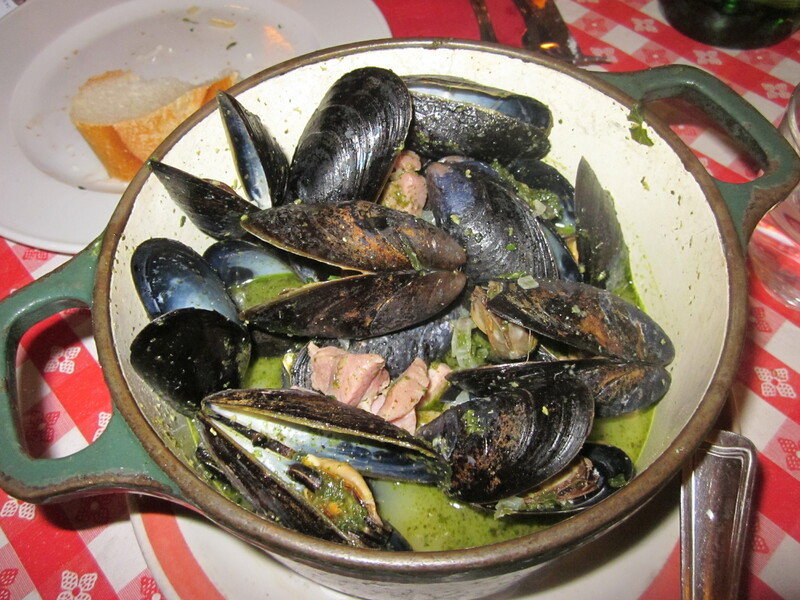 Question of the day: Have you ever had mussels? Love em? Hate em? How do you prepare them? Aww…looks like you guys had fun lastnight. 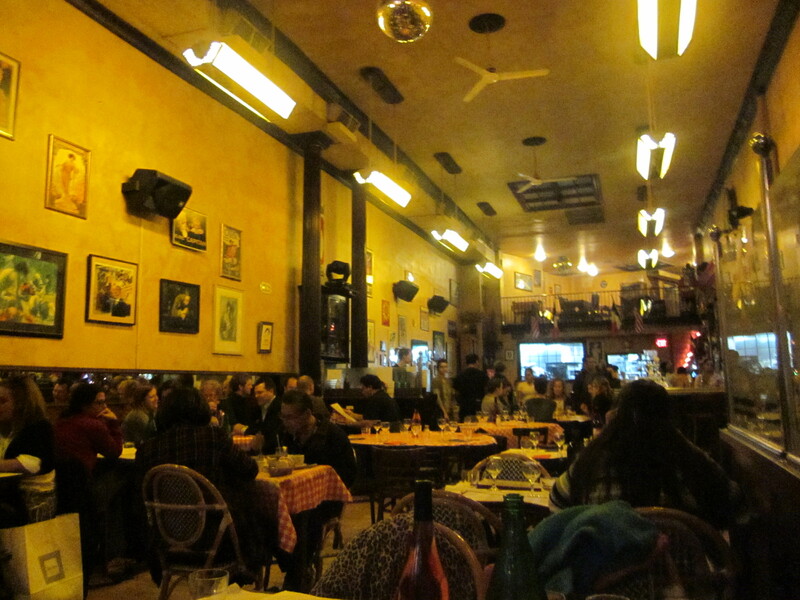 Me and Bistro Du Coin don’t get along … I once had to wait 2 hours to get a seat there. I believe it! We got there early enough to get a seat, but by the time we left there was a long line!! LOVE ‘EM! I live on the East Coast in a fishing community. 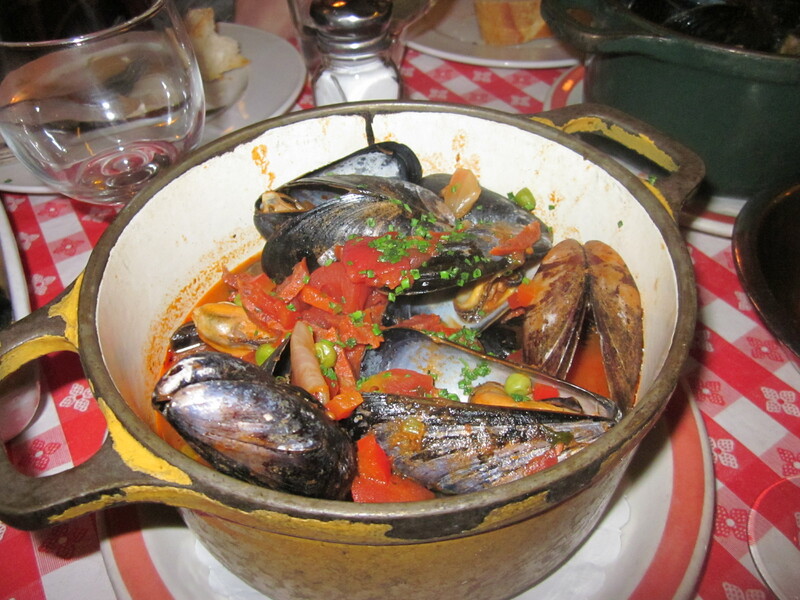 I’ve picked my own freakin’ mussels and cooked ’em. However, I have never had them as fancy as yours. I may have to try it 🙂 Especially since it’s lobster season here too! That is so cool! I’d love to pick my own, what a neat experience!